Pull to refresh works like you can imagine: you pull down your library and any new books or changes are synced. The Audible filter can be found in the drop-down under All items and seemingly shows the Kindle books in your library that you've upgraded with an Audible version, but not all your Audible items. At least it doesn't for me: I have 4 Audible books who aren't linked to any ebook and none of them show up here. Finally, returning books works for Prime Reading and Kindle Unlimited books that you might have borrowed. You tap and hold on a book then select Return book. Below is the full changelog followed by the link to download the app on the Play Store. * Return Prime Reading and Kindle Unlimited books from within the Kindle app. Simply long press on a book cover and select “Return book”. 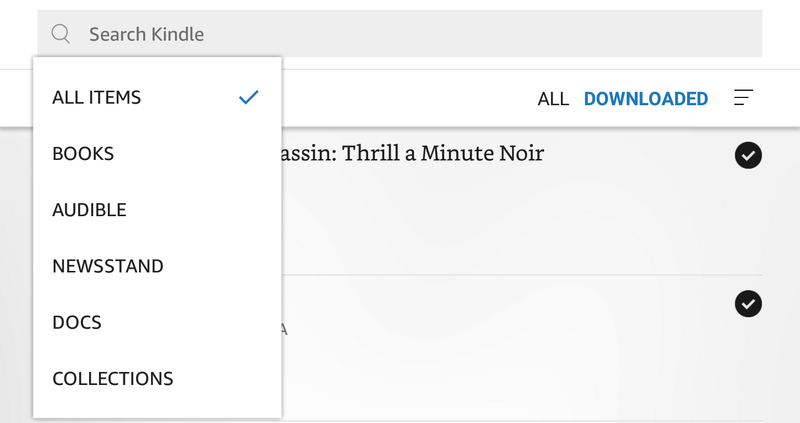 * Use the new Audible filter to quickly find audiobooks in your library. * Pull down in your home or library to refresh your list of books.